Chutney Tales: Dum ki Biryani & Kaddu ki Kheer! Dum ki Biryani & Kaddu ki Kheer! Dum ki Biryani and Kaddu ki Kheer(Bottle gourd pudding) are two famous dishes of Awadhi cuisine.I'm sending these two royal dishes to RCI-Lucknow event hosted by Lavi of Home Cook Recipes which is originally started by Lakshmi.Its so kind of her to extend the deadline untill April 6th.I adapted the Dum Biryani recipe of Chef Sudipto Battacharya,Radisson Hotel at ndtv cooks.I made some changes to suit my palate.This is my first attempt in making these two dishes and I'm happy with the result. I thought of making a mughlai curry to go with the Biryani but due to lack of time I settled with simple cucumber raita. These brass and bell metal bowls are some of the treasures I inherited from my grandmas. Okay before I start blabbering about my obsession for metal wares lets begin cooking! In a heavy bottom vessel bring the milk to boil.simmer for 10 mins to thicken the milk. 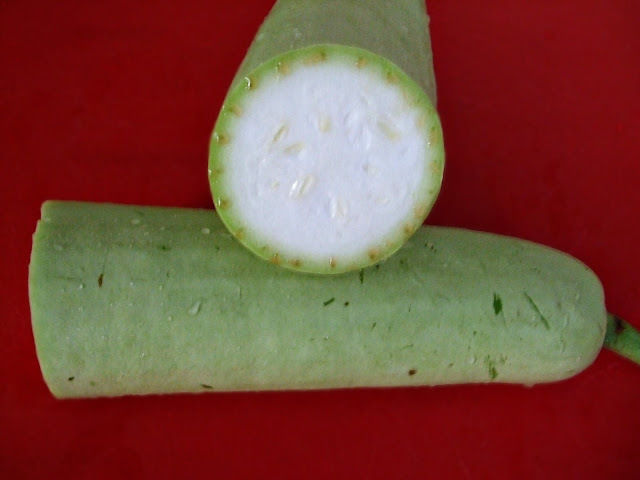 In the mean time,peel the bottle gourd,remove seeds and grate them. 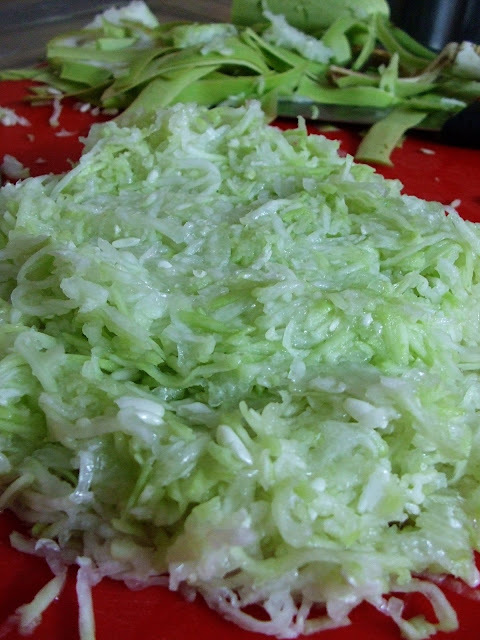 Add the grated bottle gourd and sugar to the milk.Let it cook for 5-8 mins. 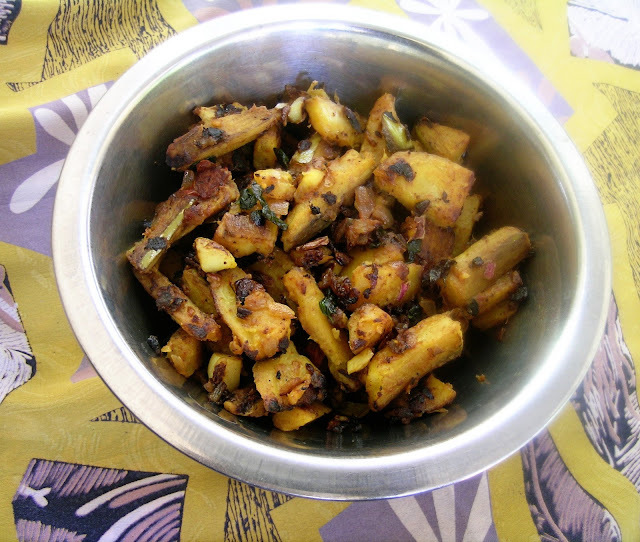 Parallely in a small kadai heat ghee and fry the nuts and raisins. 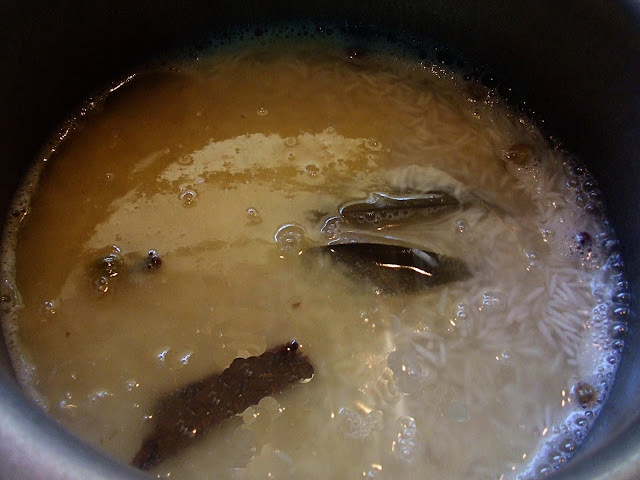 Mix the Khoya and dissolve them in the boiling kheer. 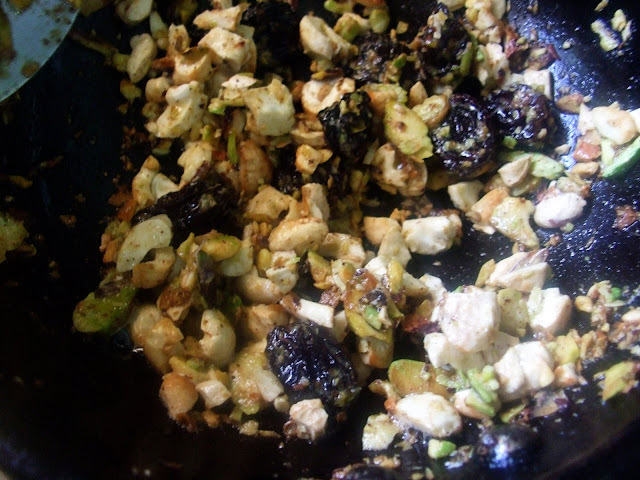 Add the caradamom powder ,saffron and fried nuts and raisins.Stir well and turn off the heat.Serve hot or cold! 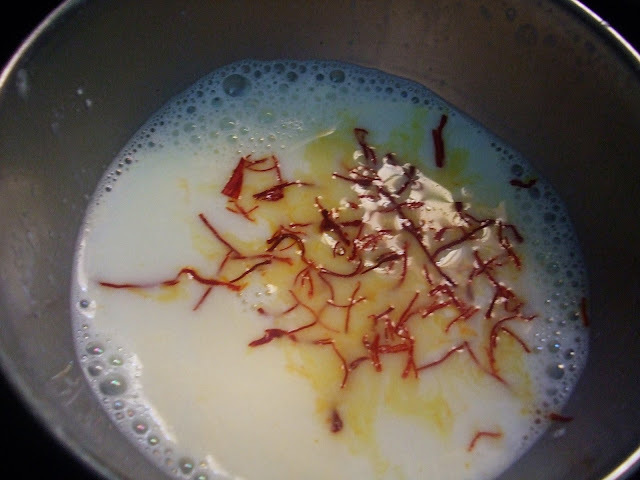 Wash the bastmati rice once and soak them in enough water.Soak saffron in milk. Heat 2 tbsp oil and fry the vegetables for 10 mins. 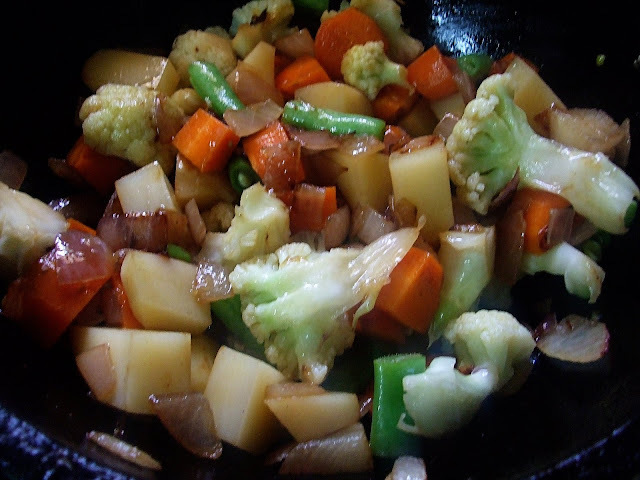 When the vegetables are frying,mix all the rest of the ingredients under the 'For the vegetables' section.After 10 mins,add the fried vegetables to this curd/spice mixture.Mix well and set aside. 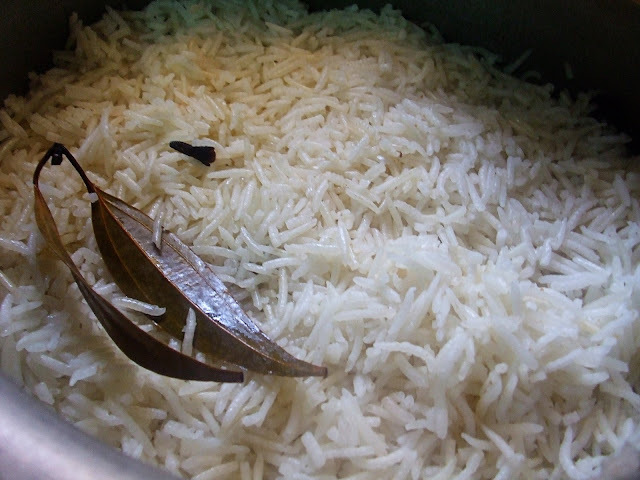 Drain the water completely from the soaking rice.In a deep pan,bring 2 cups of water to boil and add all the spices ,salt and ghee given under 'For the rice' section. 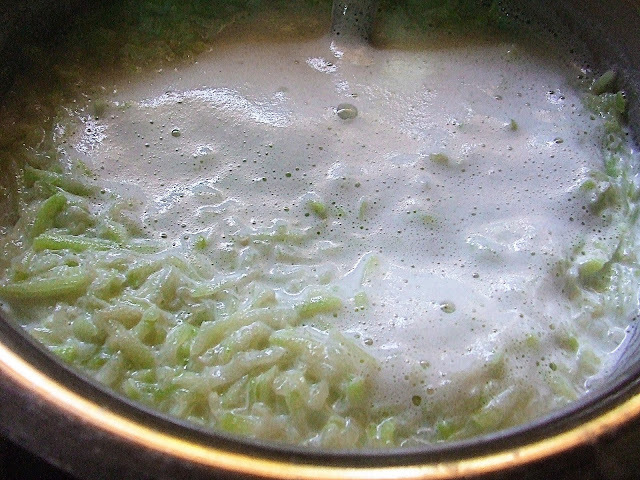 Add the drained rice and simmer and cook covered till done. Heat 2 tbsp oil and fry the marinating mixture for 5-7 mins. 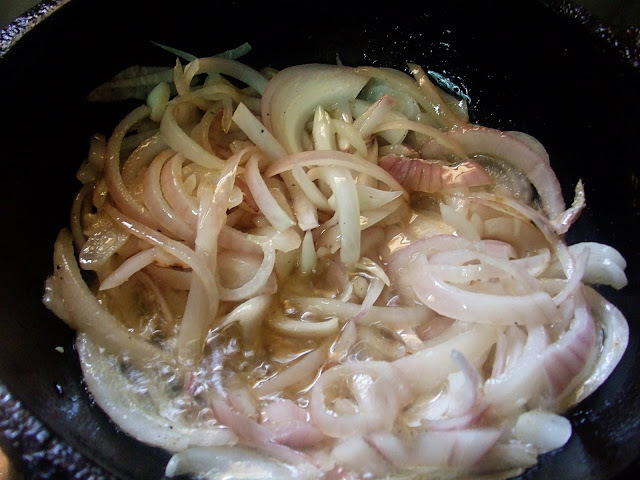 When its frying ,slice 1 big onion..Heat 5 tbsp oil and then add the onions..
Fry them till they become brown and crisp. 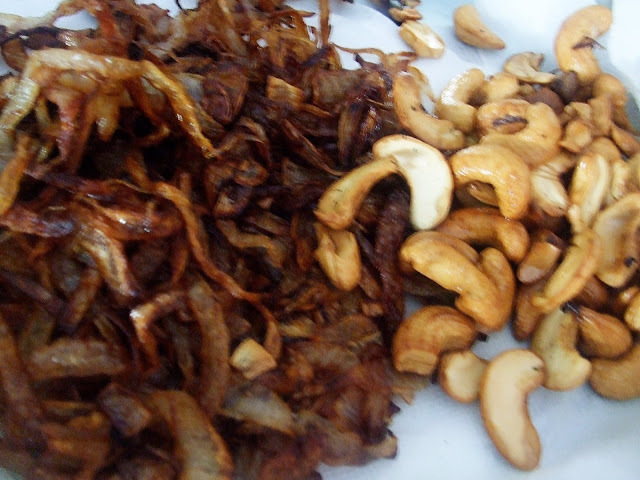 In the same oil fry the cashew nuts in low flame. 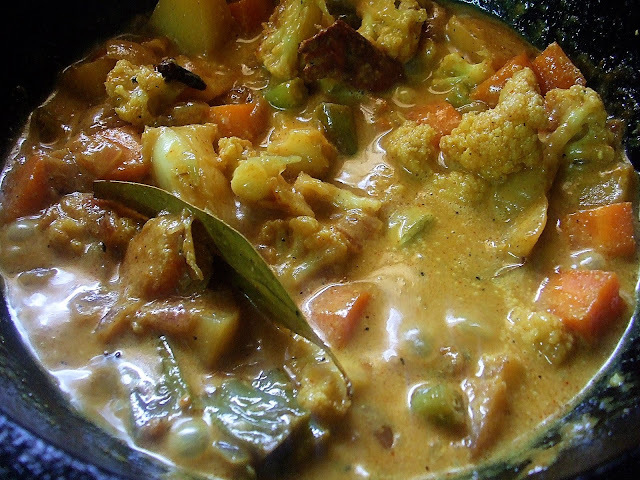 In a large oven proof bowl,layer a portion of fried vegetable mixture and then a layer of cooked rice.Do this step until you get finished up with all the vegetable mixture and rice.Gently mix them only once. Top it with coriander,mint,green chillies,fried cahsews and onions(reserve some for garnishing at the end),almonds,and the soaking saffron along with milk.Drizzle 2 tbsp ghee . 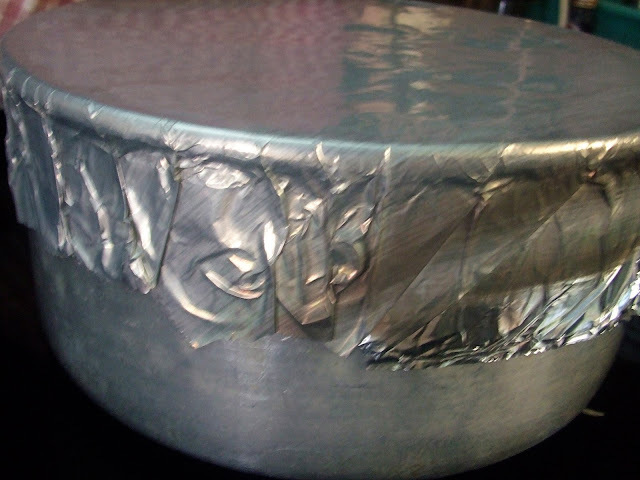 Cover this using a aluminium foil and cook in 250 C preheated oven for 25 mins. Or cover them with a plate and seal the air gaps using chapati dough. If you don't have oven,place a tawa over flame and when it got heated up,place the sealed bowl over the tawa and cook in low flame for 30 mins. 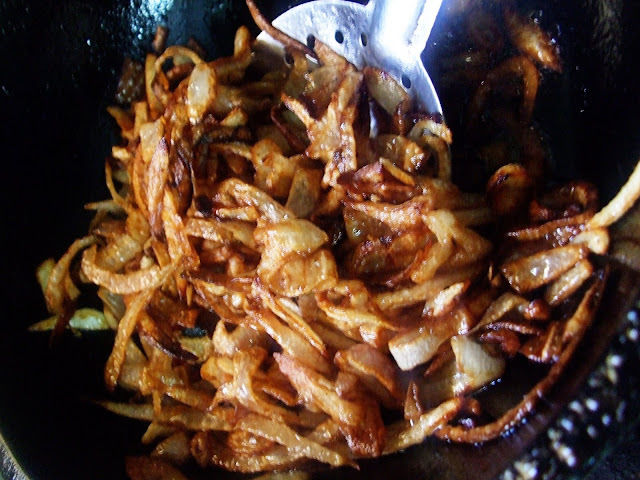 Note:Traditionally,Dum cooking involves imparting smoky flavour to the dish.If you like this flavor ,you can do it by placing a small piece of live charcoal in the center cored onion or betel nut leaf.Place this over the biryani and keep it covered for 10 mins. Once removed from oven,open the biryani bowl and give a gentle stir . 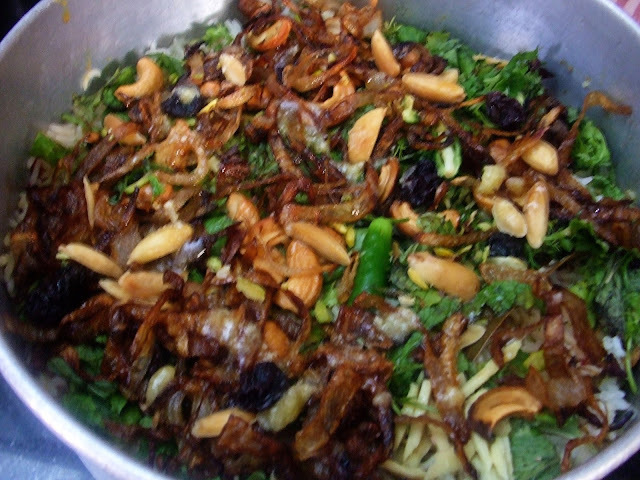 Transfer in a serving dish,garnish with the reserved browned onions,cashews and coriander leaves. 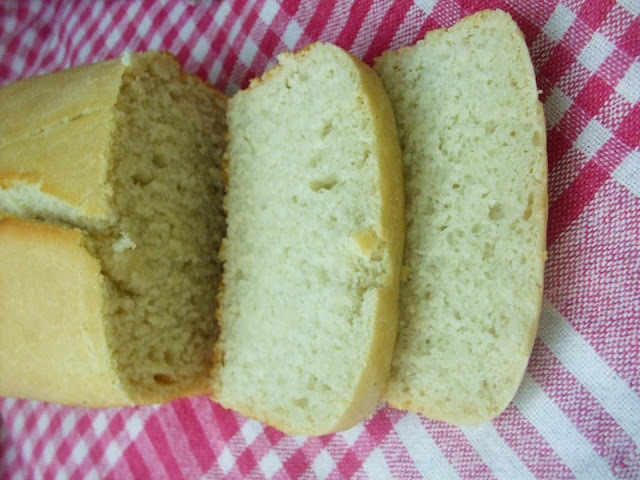 Y'day I made the lemon bread featured at Cham's Spice-club.The bread is a super hit ,Cham.Thanks for posting it in your blog.The bread came out so perfect and my cousins were not believing that I made it :( I had to swear them that they aren't the store-bought ones.Its so yummy-scrummy! 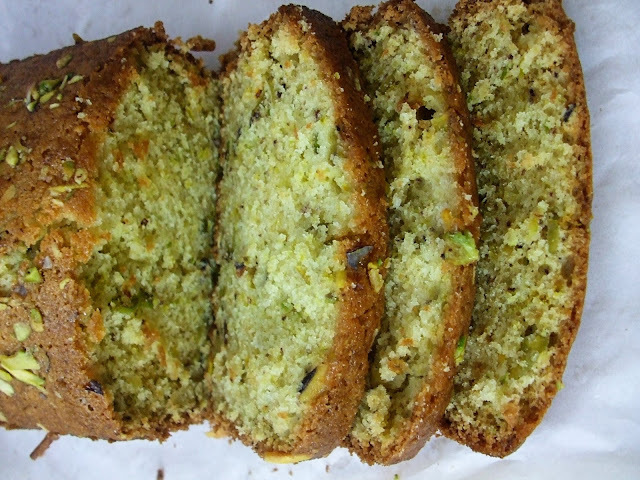 I used pistachio's instead of walnuts. wow ....I dont have words to say :D. Dum ka Biryani and Kaddu Kheer slurp! Very nice Madhu dear :)..Have a nice weekend! WOwoww tempting dum biriyani n bottlegourd kheer madhu...u did an excellent job...Also ur T&T looks prefect n delicious! When i come India, i gonna come down Chidabaram! Gal the biryani looks so authent, u made it like a pro! At ur age, I didn't know half of u ve posted! Bravo! The lemon bread and white bread come out perfect. I would love with nuts! Thanks for trying it so fast! Hey forgot to comment on the breads :) both of them look delicious....I love the Pistachio one:D.
those bowl are just gorgeous!! these days if you want good brass sstuff, it is soo expensive and difficult to get as well! The biryani looks awesome, so does the kheer! That biryani looks out of the world Madhu - can't wait to try it myself. Must've been rich tasting and delicious. Kaddhu kheer looks yummy too... have made a halwa with them before. Nice to see the dishes you tried from other bloggers too. I loveddddddddd those Thali's..so authentic n the kheer n Biriyani looks so so divine..How do you find time to study amidst of all these cooking Saga's baby?..I see a lot of effort here..clicking n aranging these many pics..oh ..Kudos..!!! biryani looks wonderful madhu...very very good..i cant say in words..worth to try it..nice step by step procedure..oh my god how can one can do all these yummy n wonderful recipes...want to try all dear!! yummy yummy looks too good, great post..
Madhu..What to say? Iam struck..Perfect Lucknow Treat from you Dear! 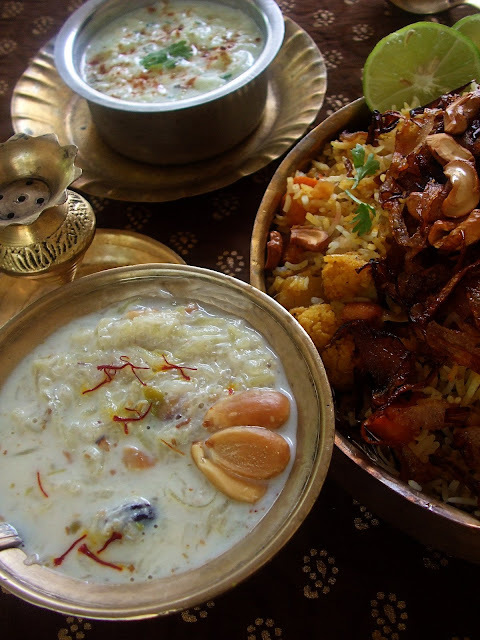 Dum Briyani's Look's yummy..Kheer is absolutely delicious!! hey buddy. your pictures look so professional. i love your blog! wow. this is fantastic feast. i'm too lazy to make biryanis or kheer. i'll just drool here. 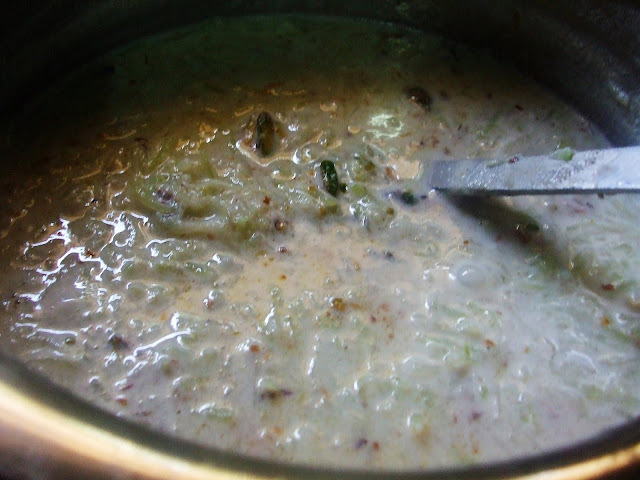 Asha-Thanks a lot.DO try this kheer when you get kaddus! Biryani looks perfect and yummy....Nice authentic presentation..i loved the vessels u served in..
Wow, I am drooling here. Mouthwatering pics. Great step-by-step pics. Biryani and kheer looks gorgeous. Lovely presentation. Both the breads have come out well. 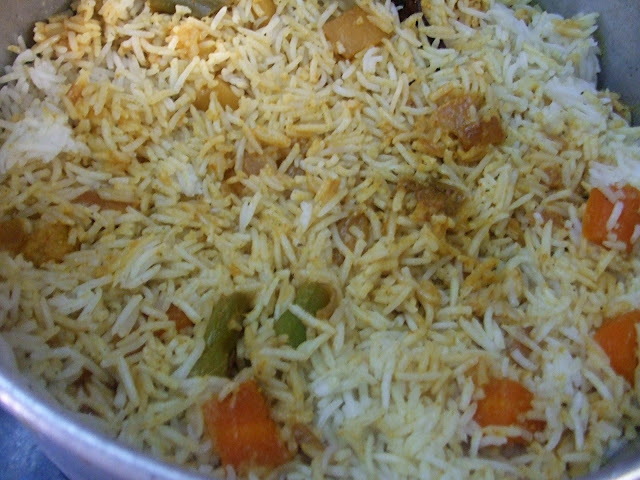 Dum Biriyani looks awesome and colorful...and so yummy too...seems you were busy this week..all the breads looks great !! Wow, you've really taken pains to do so much and really patiently. The dum biryani looks droolworthy. 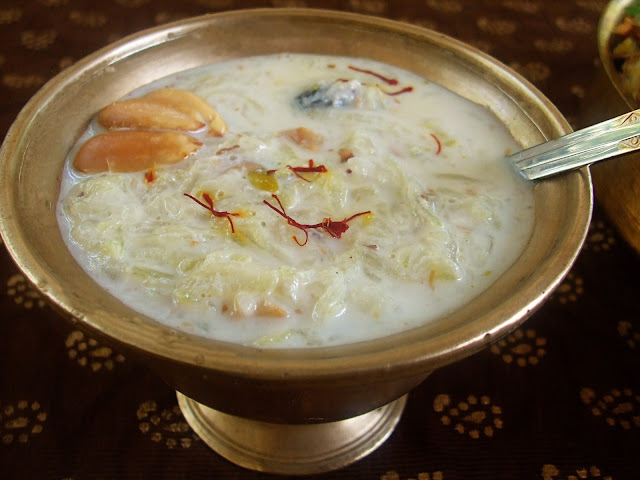 I had heard abt kaddu ka kheer but hadn't tasted it nor knew the recipe...it looks stunning :) nice presentation. God bless, and good luck for ur coarse. hi madhu, gr8 to see all the comments swarming into your blog. U deserve 'em for all your excellence, commitment, dedication & allegiance to your blog. I wish i would have born as your younger sister(charu i think) to taste all those! Wow!!! 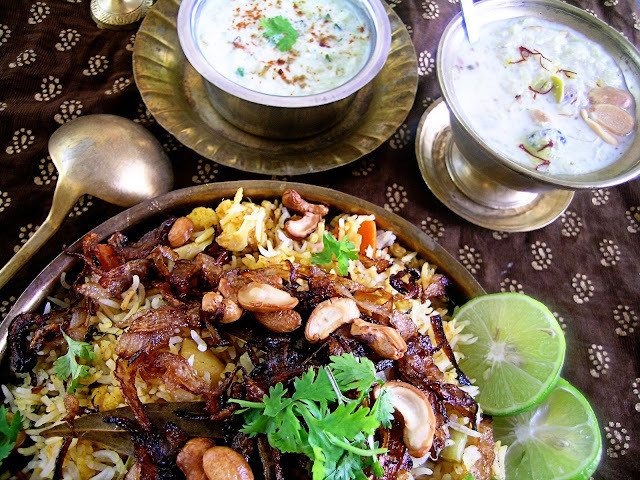 That biriyani looks so delish.....I've never tasted bottlegourd kheer before, but it looks good. The metal bowl is pretty too. Wow! What a feast. I love biryani but it's serious hard work. Thanks Madhu for ur comments! Can u check now and see...I dont find any pblm when I checked! wow, the biryani looks so delicious!! 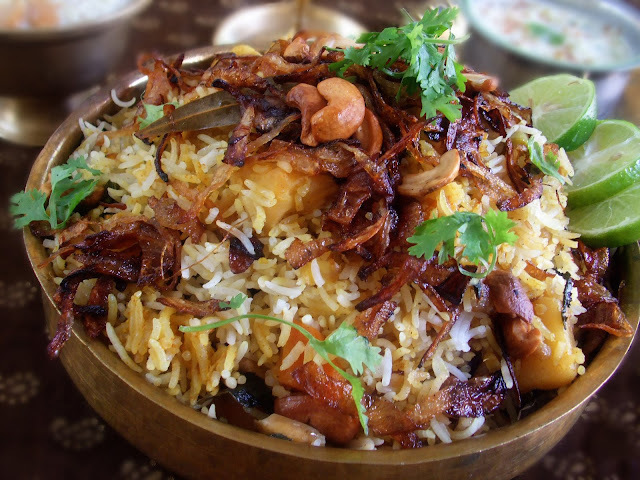 Droolworthy biryani:-) biryani is one of my favorite food:-) & it never stops to lure & tempt me. urs look of the best. 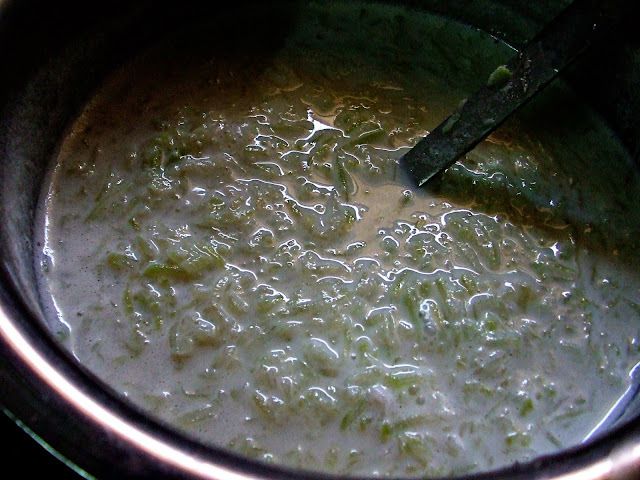 I have heard of lauki kheer, & it's pretty common in bengal too. i have never made it myself. Amazing presentation. Congrats! The post is as delcious as the dishes themselves!! Wow my kinds food. Looks yum....Love the spicy and aromatic flavour of biryani....Wish i could taste some right now....Kaddu ki kheer is all time favourite. What a authentic look to the dishes Madhu !! very well explained with traditional pic.. loved the first pic.. its a perfect click for mughlai look!! The first picture looks beautiful, so rich and traditional. Great cooking and lvoely spread. Wow..! yummmy yummmmy! Excellent clicks and descriptions ! I would have loved to sit down at your house to eat this meal it looks wonderful. The raita and biryani look amazing. 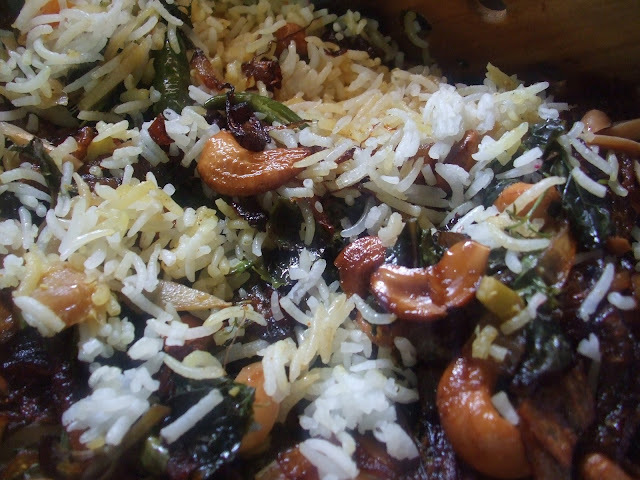 really wonderful post and i love that combo dum biriyani and kaddu kheer. it reminds me hyd. Madhu, i made the biryani (but a simpler version of it) and it was awesome. Mild yet flavorful. Thank you for a great recipe. hoi this is so tempting and yummy.. feel like to prepare this right now and have it imdtly. very nice pic and appreciate d way of presenting stp by stp preparations. Thats a yummiest post dear. U are so talented to do the biryani so perfect. 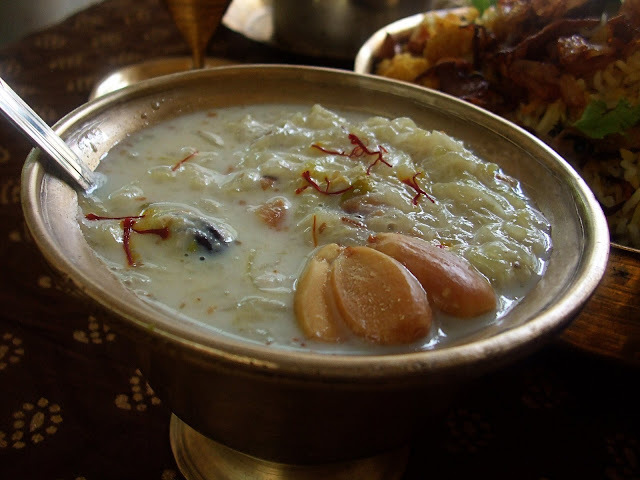 Kheer... mouthwatering dish. yummy. You are so talented dear to do a perfect biryani like this. Kheer seems mouthwatering. wow both look ohhhhh so good,love the biryani looks so delicious. 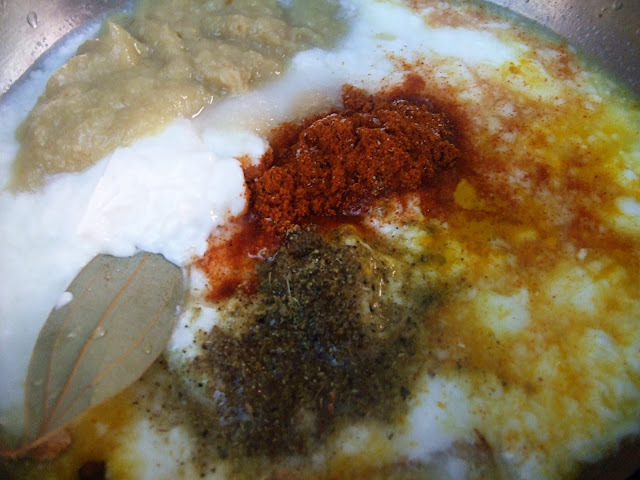 Wow typical awadhi cuisine there..
wht a post,..lauki kheer looks yum,,we prepare without khoya,..nd so oes dum biryani,..and the bread has ome out well too,.. Your biryani dishes look so flavorful! I can actually savor it in my mouth. Ohhhh! I miss home so very much when I visit your blog! Mindblowing..You made me drool for Lauki ki kheer, marvelous pictures Biryani looks too good and a must try. Thank u very much for the pictures. Very nice ethinic entry. mouth watering recipe and great fragrance...you didnot describe what to do with milk with saffron.smart work keep up the tasty job. Yummy! The dum biryani looks fabulous! I am drooling! Carrot Phirni and my Click-Spring/Autmun entry..
Puli Koozhu & Mor Koozhu/Kali..
Chocolate-Peanutbutter cookies & Muesli Cookies!